Call A1... and consider it Done! 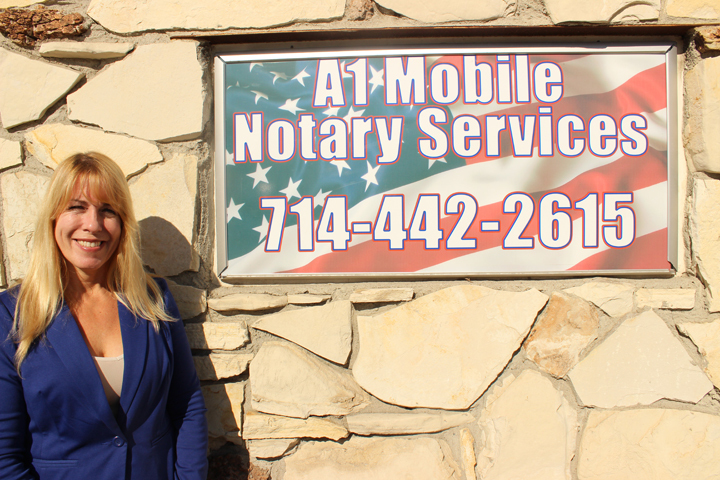 My name is Linda Kay Ganci, and I’m the person behind A1 Mobile Notary Services. I began thinking about becoming a Notary Public after I had several great experiences with the Notary that performed signing services for a few rental properties I had purchased. I became a Notary because I wanted to be able to work with people and help them with my expertise as a Signing Agent and Mobile Notary when they are in need. The thought of meeting new people and getting out in the community greatly appealed to me. It brings me great pleasure to help bring my clients at ease after their documents are notarized and signed even on a moment’s notice. I am a traveling Notary Public, meaning that I come to your location of choice, whether it be your home, place of business, local coffee shop, hospitals, elder care facilities and even safe public site mutually agreed upon. I am not an attorney, therefore, by law, I cannot give legal advice, guidance regarding your transaction or related documents, or interpret the contents of those documents. Doing so would be an unauthorized practice of law, subjecting me to possible fines, loss of my notary public commission, or possibly prison.